Susan Kaplan has joined Fuoco Group as the Director of Business Development for their Accounting and Business Advisory practice in South Florida. North Palm Beach, FL, February 12, 2018 --(PR.com)-- Fuoco Group is proud to announce that Susan Kaplan has joined the firm as the Director of Business Development for their Accounting and Business Advisory practice in South Florida. As she works to expand Fuoco Group’s footprint in the area, Susan will be promoting the breadth and depth of our new menu of services, designed to present a 360-degree approach to financial health. In addition to traditional tax, accounting, and audit, Fuoco Group, along with its sister company TFG, will provide clients with business advisory and financial advisory services as well as business exit planning. 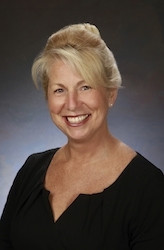 “We have known and respected Susan for a long time, sharing many mutual relationships. This firm is all about relationships and client service. Susan’s prior experience in the accounting world compliments our plans for growth of the unique value proposition we can now offer clients. We are very excited that she is now part of the Fuoco team and our new financial dialogue,” said Lou Fuoco, Managing Director. Susan has over 20 years of experience developing client and community relationships for professional services and accounting firms. She has held executive positions at several regional businesses and local charitable and community organizations. Prior to joining Fuoco Group, Susan was servicing the healthcare community in Palm Beach County where she oversaw business development, marketing activities, and community outreach.